I have so much love for this book that I don’t know how to write about it. Will you just bypass it because, it’s a book that you haven’t heard of? Or maybe you don’t read memoirs? Or non-fiction? Why am I being so negative? Maybe instead you are excited because it is a book you’ve not heard much of! Maybe it’s interesting because it is memoir! Non-fiction! Hurrah! Amazingly, I won The Song Poet from a Library Thing giveaway. (I seriously have the worst of luck when it comes to book giveaways). And what is perhaps more amazing is that I picked up the book and read it, within a few weeks of receiving it. I am a bit of a hoarder when it comes to physical books. I buy them and then, save them for the end of the world or something. Anyway, the book must have called out to me. It was meant to be. And it was one of the most beautiful things I have ever read. A book that sings and cries, a book that laughs and shudders. A book I brought along on a Bart ride to the city to pick up my passport from the Singapore consulate. It sat with me on the crowded train, it rocketed up many storeys up to the consulate building, then it basked in the sunlight at Ferry Building where I sipped a tiny and expensive mocha and watched the traffic on the Bay Bridge. This may sound silly but I first learnt of the Hmong on the TV series Grey’s Anatomy. Grey’s Anatomy may be overdramatic and too many ridiculous things happen to one doctor at one hospital (she puts her hand in a body with a bomb, she steps in front of a gunman etc). But it was also one of the very very few popular primetime TV series to have a lead Asian character, and it wasn’t about Christina Yang being Korean. Or Asian. She was just a doctor. A friend. A crazy, intense, very intelligent person. But still. She was a person. But this episode has nothing to do with Yang. An episode in Season Two featured a patient, a young woman, who needed surgery but because she is Hmong, her father refuses. They decide to call in a shaman before surgery. I hadn’t the faintest idea if this was a good portrayal of the Hmong culture or not (the blog Petite Hmong Mommy found it kinda ridiculous) but it made me wonder about the Hmong culture. I later learnt more by reading Anne Fadiman’s The Spirit Catches You and You Fall Down, published in 1997, a work of non-fiction about a young Hmong girl living in Merced, California, who suffers from epilepsy. It is a moving, tragic book, in case you haven’t yet read it. But it is not by a Hmong so it’s still from the point of view of an outsider looking in. The Song Poet seemed to me like your typical refugee in America kind of memoir at first. But the prologue opens with ‘Album Notes’, in which Yang writes about calling her father, Bee, a poet. The Song Poet is a story of struggle, of hardship, of determination, and quite simply of back-breaking, hardworking parents trying to make enough money to put a roof over their family’s heads, to put food in their kids’ mouths. This is a story that moves from Laos, to Thailand, to Minneapolis. And it is so very very difficult, to read of all the pain that other people put this family through, because they are different, because they are Hmong. They were driven from the Laos because of war and communism. In Thailand they lived in refugee camps, where the author was born. Then wanting to be more than just refugees, the family traveled to America. But in America, their lives are still difficult – Bee takes on backbreaking, dangerous work at a factory in order to make ends meet. His wife works the morning shift, he works the night shift. Just so that there is a parent around for their children. Yang’s voice is just beautiful. My favourite part of the book is ‘Side A, Track 4: Love Song’, where she writes from her father’s perspective of his love for his wife Chue Moua, and all the many things that they have gone through, many miscarriages, across countries. I read and reread that chapter, trying to find something to quote here, but it is a chapter to be read as a whole. A few sentences, a paragraph, wouldn’t do justice to this emotional chapter. Instead, I will leave you here with a quote from another part of the book. Equally unforgettable. Dewi Ayu was buried in a far corner of the cemetery among the graves of other ill-fated people, because that was what Kyai Jahro and the gravedigger had agreed upon. Buried there was an evil thief from the colonial era, and a crazy killer, and a number of communists, and now a prostitute. It was believed that those unfortunate souls would be disturbed by ongoing tests and trials in the grave, and so it was wise to distance them from the graves of pious people who wanted to rest in peace, be invaded by worms and rot in peace, and make love to heavenly nymphs without any commotion. What is this book that I’ve just read? It is hard to really put a finger on what genre it would fall into. Is it a ghost story? Is it a sweeping family saga that spans several generations and many decades? Is it a story about Indonesia, its history and its people and culture? It is all that and more. It is ambitious. It is immense. It is startling and odd and also fresh and exciting. It is the story of Dewi Ayu, born into a Dutch family, captured by the Japanese when they occupied Indonesia, forced into prostitution. And it is also the story of her four daughters and their own families. It is also the story of Indonesia – from its occupation by the Japanese during the Second World War, to its struggles with the Dutch (it was part of the Dutch East Indies) and then with the communists and the anti-communist purge in 1965. So it is political, it is violent – in terms of physical violence and sexual violence. Yet Eka Kurniawan somehow manages to bring some humour, albeit an odd sense of it, into his tale. They often teased people forced to walk past the cemetery, making spooky noises or appearing as headless sweet potato sellers. Everyone avoided the place at night but Kamino and Farida were quite used to the ghosts, and simply chased them away like other people shoo out a chicken that has wandered into the kitchen. Every once in a while the couple even teased the ghosts right back. 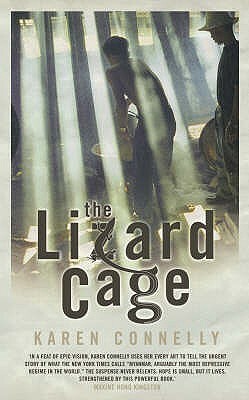 I rushed through a good part of this book, which I had borrowed as an e-book from the library. That wasn’t the way Beauty is a Wound should be read though. 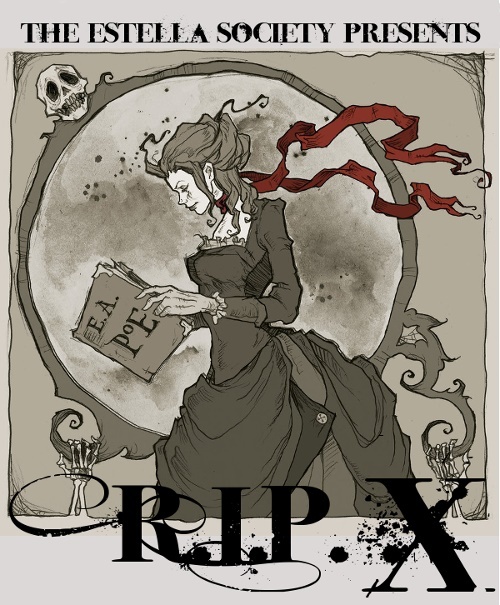 I had started it but then the whole woman climbing out of a grave thing wasn’t really jiving with me at the time – I had just emerged from reading a book that had creeped me out, and I wasn’t ready for more ghostly matters!. So I mentally filed it away to read later. Of course, it was only way later that I remembered it, with just a few days left before it would expire. With some other eager readers on hold for the e-book, there wasn’t a chance to renew it, and so the intense reading began. But with its large ensemble cast and its meander through history, this is an intense read. For instance, when Kurniawan introduces a new character, he tosses us deep into this character’s history, yes, breaking the original narrative and chronological order of the story, pulling the reader back in time, tracing this new character’s relationship with the previously mentioned characters and sometimes introducing other characters, a seemingly different story arc. Then he brings it all back together again to continue the main story. It is originally a bit disconcerting but the lives of these different characters, their own stories is so fascinating that I just read and read wherever Kurniawan takes me. There is so much that seems to be taken from legend and folklore here. I am not familiar with Indonesian culture (although I am from Southeast Asia), so I don’t know if all these myths and stories Kurniawan tells are influenced by something that is old and legendary, but it often feels like it. I’m probably missing out a bit by not knowing all this background, but like any good book, it makes me want to find out more, to read more about Indonesia and learn. (And also wonder why the Singapore education system never made us learn more about our neighbours). The supernatural is a big part of Indonesian culture. Prominent Indonesians are known to consult dukun or shamans. It is even said that former presidents Suharto and Sukarno employed dukun, who are seen as gatekeepers to the supernatural world, and can heal ailments, and some more famous ones even claim to help politicians get elected. As they descended from the station platform, they jerked back at the soupy air, thick with a rancid stench and full of shadows that flickered with a reddish glow. I wouldn’t say this book is for everyone. It is not a quick breezy read. Its layers and depths and even humour take some time to wander through. It is wordy, it meanders. But it offers insight into a country that not many books are set in, it also gives the reader plenty of food for thought. If you’re looking for something a little different, and are willing to devote some time to reading it, consider Beauty is a Wound. 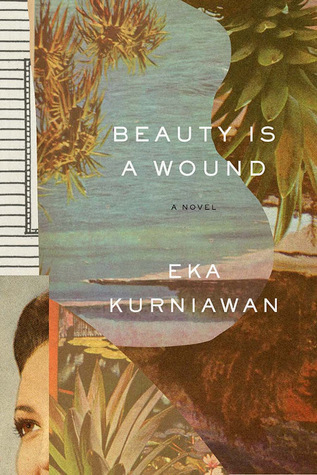 Interestingly, Beauty is a Wound or Cantik itu Luka was originally published in 2002. Lelaki Harimau or Man Tiger (recently published by Verso Books) was originally published in 2004. One NYT review: “If Pippi Longstocking were an Indonesian prostitute instead of a Swedish tomboy, she would be something like Dewi Ayu”. Have you read this book or Eka Kurniawan’s other works? In the seventh month of the lunar calendar, usually around August, Chinese Singaporeans (and Chinese in other parts of the world) observe what we call the Hungry Ghost Festival. It is believed that the gates of Hell open and the ghosts are allowed to wander the earth. To appease these hungry ghosts, offerings are made to them – food, joss sticks, candles, paper money and other items made out of paper like houses and cars. In Singapore, big dinners are held, and guests bid at auctions for auspicious items (one man even paid S$258,888 (about US$207,000) for a gaudy urn that cost S$100!). And entertainment is provided for both human and ghostly guests, traditionally in the form of wayang (Chinese street opera) but these days, getai (literally ‘song stage’) is the popular mode of entertainment, where Mandarin and dialect songs are sung by colorfully dressed singers. But one thing remains the same, the first row of seats remain empty, for the spectral guests. 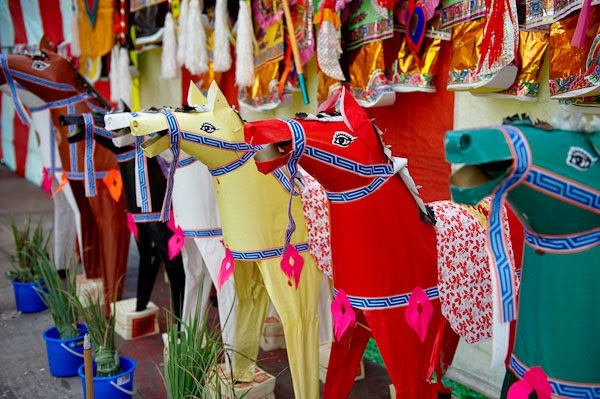 When I was a kid in Singapore, not far from our house, a wayang/getai stage and dinner tables would be set up in a small parking lot of a row of shophouses. And we would hear the loud music late at night from our house, and smell the offerings being burnt. One had to watch where we were walking, to make sure we didn’t tread on ashes or offerings as it would bring bad luck. My parents weren’t the superstitious/religious sort but my grandparents were, and they had altars and joss sticks at their house. I remember helping to fold joss paper money and burn them, although I cannot remember if this was for Hungry Ghost month or for funeral rites. Perhaps both. (In Singapore columbariums, large troughs are provided for the burning of joss paper). And it is during Hungry Ghost month that the more superstitious avoid doing certain things like swimming, going out late at night, getting married (see more here). 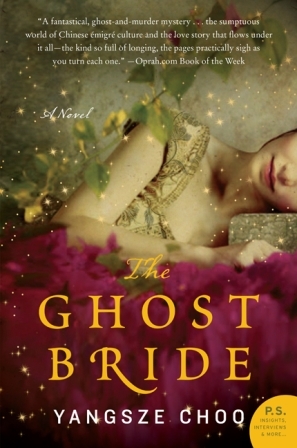 But nothing has been said about reading books that talk of this ghostly world, like Yangsze Choo’s amazing Ghost Bride. 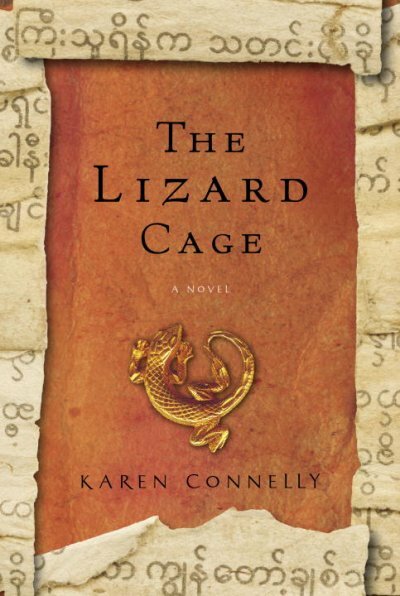 The story is set in late 19th-century Malacca, a sleepy seaside town in southwest Malaysia. Li Lan is about to receive an unusual proposal, to be the bride of a young man recently deceased, the only son of the wealthy and powerful Lim family. It is a very rare practice, and is meant to appease a restless spirit. Of course there is far more to this as we later learn as we delve into the spirit world with Li Lan. 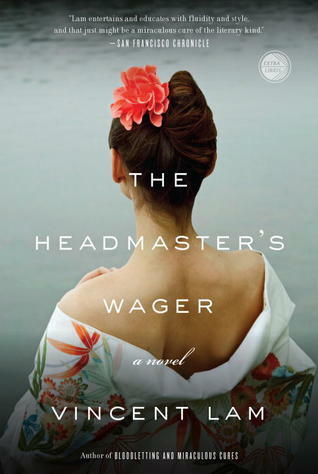 Li Lan’s own family was once wealthy but now its fortunes are in decline, and her opium addict father’s debts are owed to the head of the Lim family. She soon finds her dreams haunted by Lim Tian Ching, the deceased she is meant to marry. She enters a ghostly world in her dreams, where everything is “intensely and unappetizing lay pigmented”, where food is displayed like funeral offerings. But her thoughts are with his cousin, the scholarly and gentle Tian Bai, now the heir to the Lim fortune. Apart from the spooky afterlife, Choo’s novel just meant a lot to me. There aren’t many books that are situated in Southeast Asia, despite its 11 very diverse and interesting nations, including the fourth most populous country in the world, Indonesia. (Here’s my list of books set in Southeast Asia/written by Southeast Asians). Malaysia, which neighbours Singapore, has more than a few similarities, and so to read of foods, traditions, customs, slang that I could relate to, that just made me feel so very warm inside. And a little homesick. For instance, Li Lan’s Amah, a very traditional, superstitious woman who has looked after for Li Lan since she was a baby. I was tickled by her solutions of boiled soups and tonics, of her fondness for consulting mediums and so on, which are not out of place even in today’s modern Singapore. My mother-in-law, for instance, still boils up ginseng tonics to boost energy, and when I was pregnant would make sure I drank chicken essence every day (thankfully that was the only thing, as there were plenty of other soups and tonics one ‘ought’ to consume during pregnancy, and even more after, during the ‘confinement period’ of the first three months). I adored Choo’s depictions of Malacca, a sleepy coastal town I’ve been to just once in my life during a school trip when I was 12, despite the fact that it’s only about 2.5 hours from Singapore. 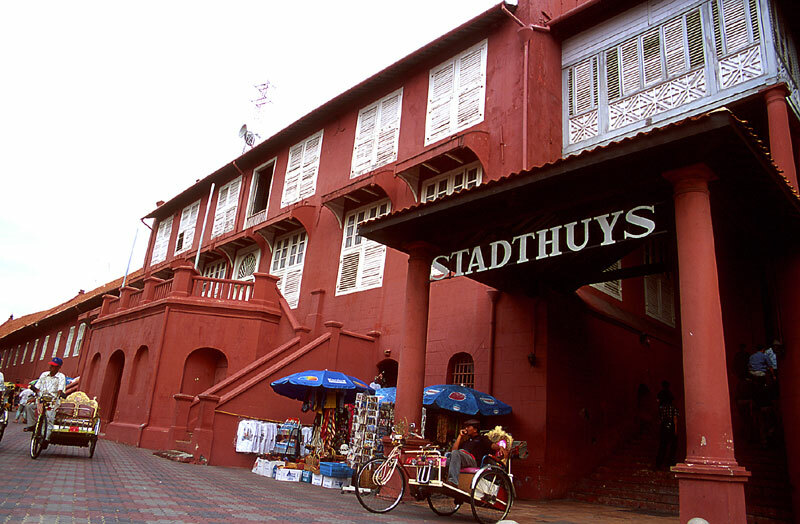 I remember the red-bricked Stadthuys, built in 1650 as the office of the Dutch governor, visiting a Peranakan museum and eating Peranakan food. Of course it was a lot more about having fun with our classmates as it was our last year of primary school and we would likely end up in different secondary schools. Longing and wistful, haunting and melancholy, Ghost Bride has a little something for everyone – a romance, a mystery, a coming-of-age story. An apt read for the Hungry Ghost Festival but also for every other month in which the spirits do not roam the earth. Yangsze Choo is a fourth-generation Malaysian of Chinese descent. 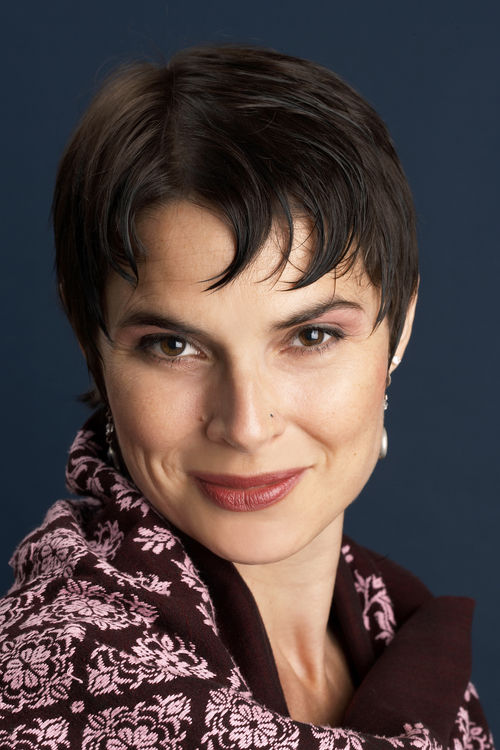 She lives in California with her husband and their two children, and loves to eat and read (often at the same time). I was meant to concentrate on Southeast Asian titles in August but ending up reading all sorts of other fiction, from children’s books to historical fiction to crime/mystery novels. A good time was had as I wandered through Paris, Cambridge, Portland, Macedonia, Cornwall. And of course, plenty of Southeast Asia too – Singapore, Myanmar, Vietnam, Thailand, Laos! So I finished up my month of reading Southeast Asia with 6 titles down. And two more still in progress! Up next: RIP VIII titles! It’s the wedding of the year and the who’s who of Singapore and the region have been invited, including Nicholas Young and his girlfriend Rachel Chu. Rachel Chu? Of the Taipei Plastics Chus? Nope. Just Rachel Chu. NYU economics professor. Being brought up in California by her hardworking realtor mother means that she is just one of the hoi polloi, not the sort of girl that Nicholas Young of the “perfectly tousled black hair, chiseled Cantonese pop-idol features, and impossibly thick eyelashes” and, more importantly, heir apparent to both the Young and Shang fortunes, should be with, at least that’s what everyone in Singapore thinks. Everyone that is, who knows who Nicholas Young is. Because the Young family is so upper crust that one has to be upper crust to even know who they are: “a secretive, rarefied circle of families virtually unknown to outsiders who possessed immeasurably vast fortunes”. Even Rachel’s wealthy Singaporean friend Peik Lin who lives in a $30 million dollar house with a monstrous four-tiered marble fountain in the driveway hasn’t the slightest clue who they are. 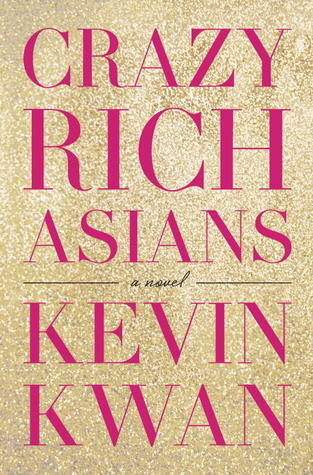 So essentially this is a book about a young Asian-American being invited to meet her boyfriend’s ridiculously rich Chinese Singaporean family in Singapore. He assures her that “everyone will adore you” but of course they don’t. His suspicious mother even makes a trip to Shenzhen, China, to track down Rachel’s family background. Needless to say, it does not bode well for our innocent Rachel. Despite this embarrassment of riches, Eddie felt extremely deprived compared to most of his friends. He didn’t have a house on the Peak. He didn’t have his own plane. He didn’t have a full-time crew for his yacht, which was much too small to host more than ten guests for brunch comfortably. He didn’t have any Rothkos or Pollocks or the other dead American artists one was required to hang on the wall in order to be considered truly rich these days. And unlike Leo, Eddie’s parents were the old-fashioned type—insisting from the moment Eddie graduated that he learn to live off his earnings. Thirty-foot-tall topiaries in gigantic pots and colossal spirals of pink roses encircled the field, where dozens of whimsical gazebos festooned in striped pastel taffeta had been built. In the center, an immense teapot spouted a waterfall of bubbly champagne into a cup the size of a small swimming pool, and a full string ensemble performed on what appeared to be a giant revolving Wedgwood plate. The scale of everything made the guests feel as if they had been transported to a tea party for giants. This by the way was just the reception. The church ceremony and the dinner being two completely different affairs. And be warned, there’s a lot of brand-dropping – VBH, Pierre Hardy, Alexia Mabille, Lanvin, Marie-Chantal. It might make you reach for that copy of Vogue the next time you’re at the bookstore. As a Singaporean born and bred (although having for the past 4.5 years lived in California), I enjoyed this rare opportunity to read something set in Singapore by someone who is familiar with it – well sort of, Kwan lived there until he was 12 and now lives in Manhattan – although it is a lifestyle I am a stranger to. Well, it was fun to read of mentions of various schools preferred by the rich (Nicholas attended Anglo-Chinese School, as did his creator Kwan: ““Nicholas Young … sounds like an ACS boy,” P.T. chimed in. “All those ACS boys have Christian names.”), various disguised names of places (Kingsford Hotel = Goodwood Park Hotel? ), and of course descriptions of our cuisine. All the descriptions of food made me miss Singapore, because we are a rather food-obsessed country. Sigh…. There was the famous char kuay teow, a fried omelet with oysters called orh luak, Malay rojak salad bursting with chunks of pineapple and cucumber, Hokkien-style noodles in a thick garlicky gravy, a fish cake smoked in coconut leaves called otah otah, and a hundred sticks of chicken and beef satay. Kwan does not hold back in this tale of excess. Among the many gems (literal and otherwise) include a 118-carat diamond brooch the size of a golf ball; a woman flies her saris to New Delhi to get them cleaned; a mirror in a closet that takes photos and remembers everything one wears; a state-of-the-art Ayurvedic yoga studio with inlaid pebble walls and heated pine floors in a private jet; a yacht with a karaoke lounge, a chapel, a casino, a sushi bar complete with a full-time sushi chef from Hokkaido, two swimming pools, and an outdoor bowling alley on the uppermost deck that also converted into a runway for fashion shows. And that’s just the tip of the iceberg. Kwan sums up his book: “It’s voyeuristic, it’s dynasty, it’s Downton Abbey, and no one’s told it from this Asian perspective.” No wonder the film rights have been snapped up. It would make for a fun movie to watch, and while this book has its issues (too many footnotes; and for an economics prof Rachel is rather naive and unworldly and seems more like someone just out of school) it was an enjoyable beach-y, summery read. 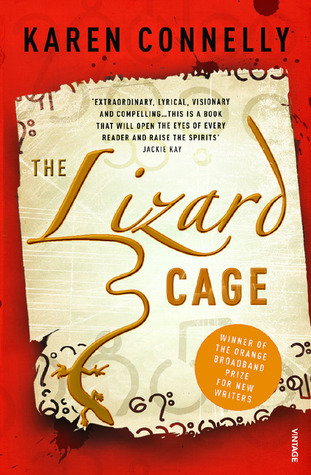 I have to thank JoV of Bibliojunkie for first bringing this book to my attention!